Work with a team of fun, supportive, highly skilled and experienced colleagues based in our own building and rooms in Hawthorn East. Neo has spacious consulting rooms with natural light and doesn’t operate from GP clinics or another organisation’s facilities. Not a franchise, we are a boutique consulting organisation founded in 2000 by Dr Simon Crisp, Neo has developed an enviable reputation and an extensive network of referral sources. Neo has a long history as a leading private practice and consulting organisation. Neo has consulted to most leading private schools in Melbourne through to multinational corporations and government agencies. We provide clinical services to a wide range of client groups, including assessment, individual, couple, parent and family therapy in addition to innovative programs in schools and similar. Our services are in high demand and we see all age groups but focus on working with children, adolescents, young adults, parents and families. Our doctoral and masters trained Psychologists are highly qualified and skilled and provide flexible approaches to address issues spanning diagnosable clinical disorders through to relationship, family, work and school-based problems. 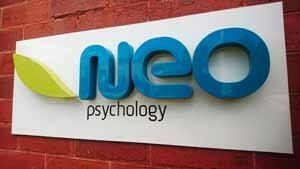 An exciting opportunity exists to join the Neo Psychology team. A 2-3 day per week position is available to work with fun but highly trained, client-centred, clinical psychologists. We are seeking a Doctoral or Masters trained Clinical Psychologist, ideally with advanced training or experience working with children & adolescents and parents and families. CAMHS or similar experience is not necessary but highly desirable. A background in CBT combined with family therapy and/or EFT or psychotherapy is ideal but not essential. Well-developed counselling and interpersonal skills are highly desirable. The successful candidate will receive a private practice orientation program and ready and available support, so the position is perfect for recently endorsed Clinical Psychologists, Clinical Psychology Registrars as well as more experienced Clinical Psychologists. Regular supervision is available at no cost from Dr Simon Crisp, Clinical Child Adolescent & Family Psychologist who has three decades of professional experience as well as other members of the team. Regular team PD and peer consultation is also provided as well as completion of AHPRA registrar program requirements. Minimum qualifications are APAC accredited Clinical Masters (DPsych preferred). Endorsement in Clinical Psychology or enrolment in Clinical Psychology Registrar program with AHPRA is essential. Australian Clinical Psychology Association membership or full APS & CCP membership is desirable. The successful candidate will need to be eligible to provide services under Medicare. Hours highly flexible and negotiable, and include evening work. Saturdays essential but other days are negotiable. Applications close Monday 6th May but interviews may be offered to applicants prior to this date so don’t delay in making your application.